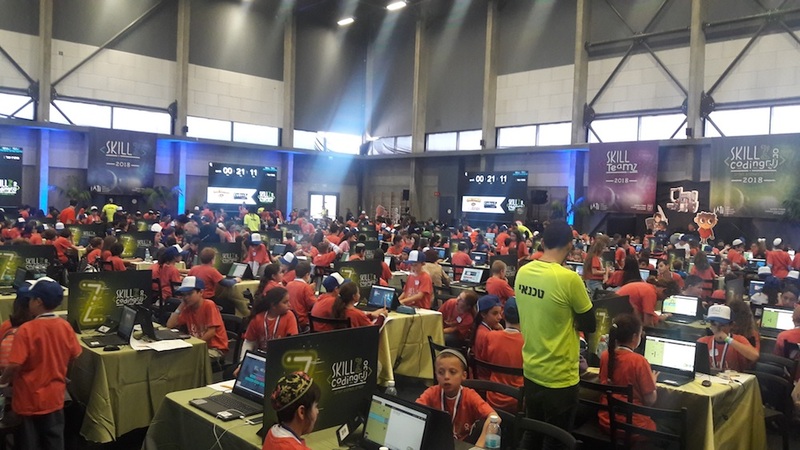 The fourth annual Israeli Cyber Olympics final event took place yesterday in Holon, Israel. After months of practicing code, the top 100 highest-scoring schools in Israel got to send teams of 4 students to represent them in the final event. The spectacle attracted thousands of families, students and educators from all over the country. The competition finals held Math and Coding tournaments for different grades. The final stage of the Olympics consisted of two hours, in which hundreds of students worked together in teams of 4 to solve as many challenges with as many stars as possible. Hundreds of teams in 2nd-6th grade tested their skills by solving challenges on CodeMonkey. 7th-9th grade teams completed a series of exercises on CodeMonkey in order to build a game. The winners were from cities all over Israel. 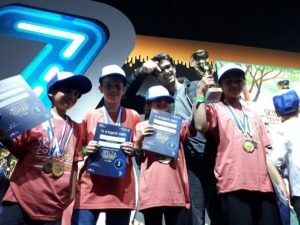 The Israeli Cyber Olympics, a national event held by Israel’s Ministry of Education, takes place every year and prepares Israeli students for the ever-dynamic tech industry. Schools all over the nation prepare for the coding competition through learning on coding platforms, such as CodeMonkey. How does a school get involved with this? Is it open to private schools as well? It is possible for private schools to participate in the Cyber Coding Olympics, for that you will need to contact the Ministry of Education. Please contact us around November so we can give you the correct details for the next competition. Hi, I am writing from UK. I am teacher and coordinator of Bar Mitzvah program at my synagogue. One of my students loves coding and he’s really good. He is making a project about Hi tech and Israel and would like to speak/write /exchange games with same age Israeli students. Any school/student would be interested in exchanging works and experience? Any way to publicise this request? Possibly, can you write to us at info@cm-studios.com?